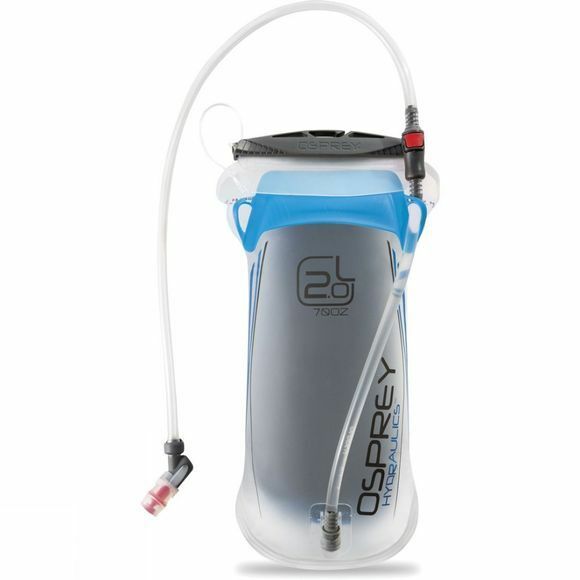 Perfect for keeping effectively hydrated while on the move the Hydraulics 2L Reservoir from Osprey has been carefully considered to ensure its easy to use and easy to clean whilst also being easy to carry comfortably. Keeping hydrated by drinking a little, more often can leave you feeling more comfortable for longer while on the move and the sturdy back plate helps to keep the weight of a full reservoir sturdy in your pack. The Bite Valve unit is magnetic to enable easy access and stowable on the move while the lockable valve offers a fast and smooth water delivery for easy, convenient and spill-free use.